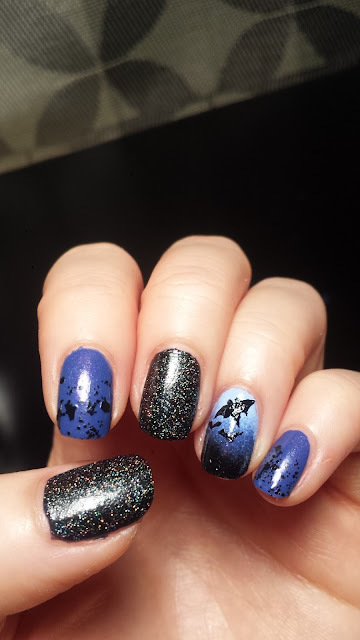 Here's a spooky night time bats attack manicure! 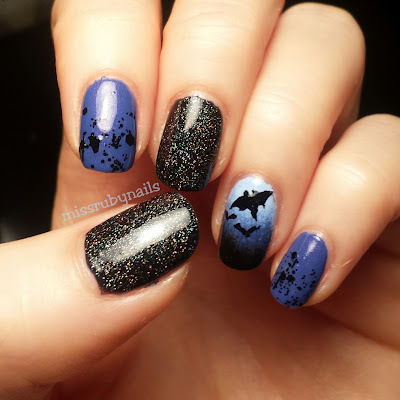 I was quite happy with the hand-drawn bats on the accent finger! 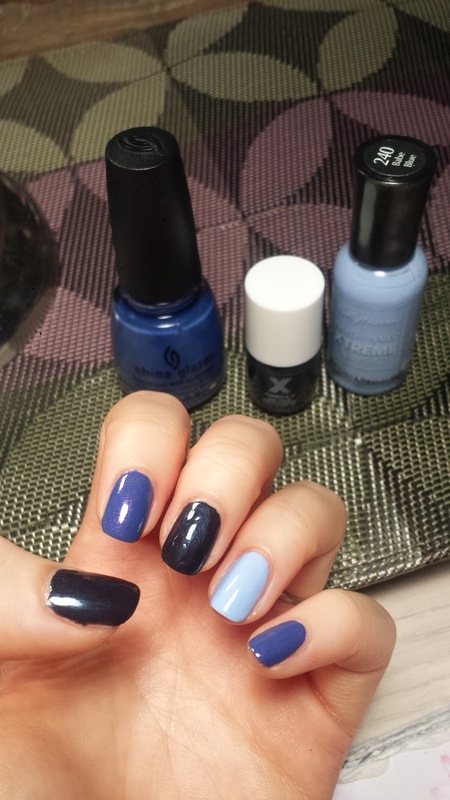 First I painted a solid base color using various shades of blue. 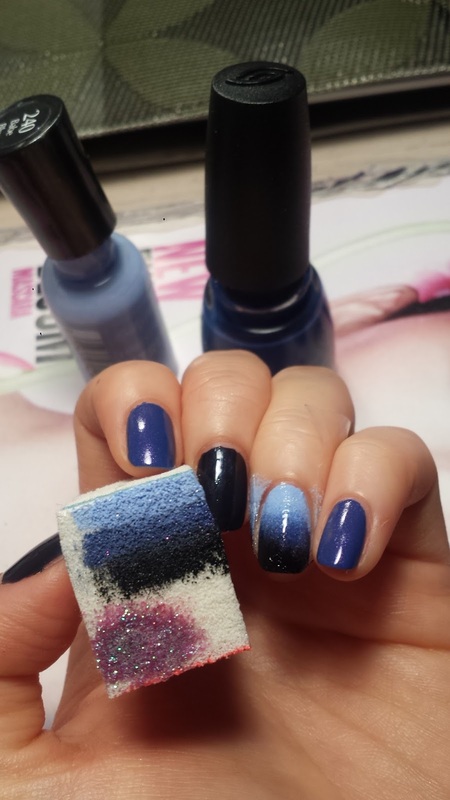 On the 4th finger, I used a sponge to make the gradient/ombre effect using a mid-tone and a dark blue. As always, I used a piece of tape to protect the skin around the nail so I would have minimal clean-up to do from the sponging. After the ombre layers had dried, I used my black nail striper to draw the bats on. I started by drawing the outline of the bigger bat and then I filled it in. 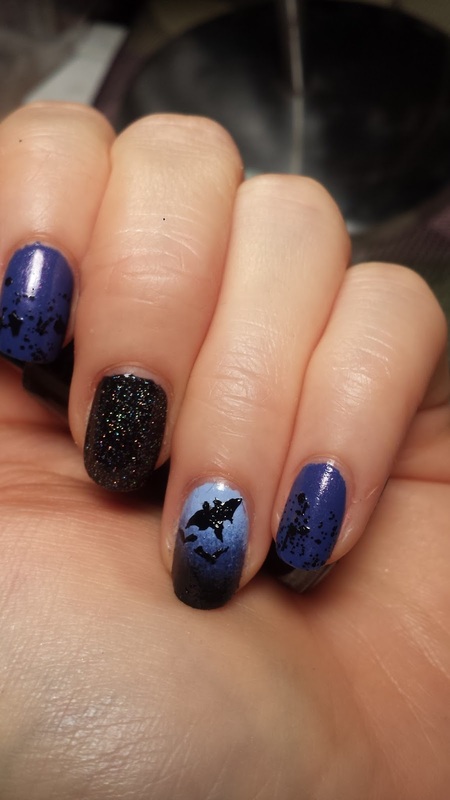 And I added two more smaller bats below it. 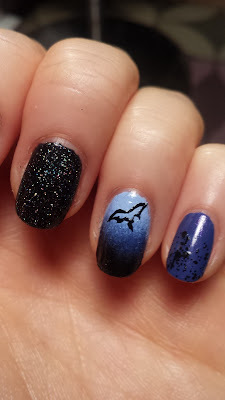 On the thumb and middle finger, I added a black holographic glitter on the dark blue nail color and this color is so gorgeous that I couldn't stop looking at it while moving it under the light! 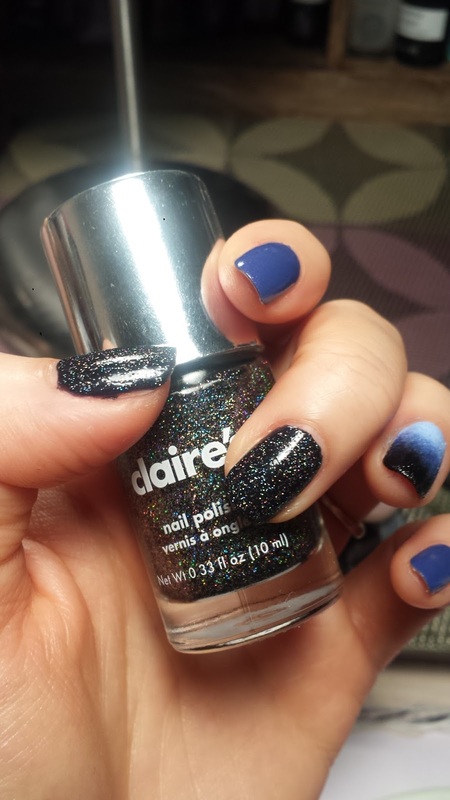 On the second and pinky finger, I topped the blue polish with a black chunky glitter to give it an extra boost. After applying top coat and we are done! 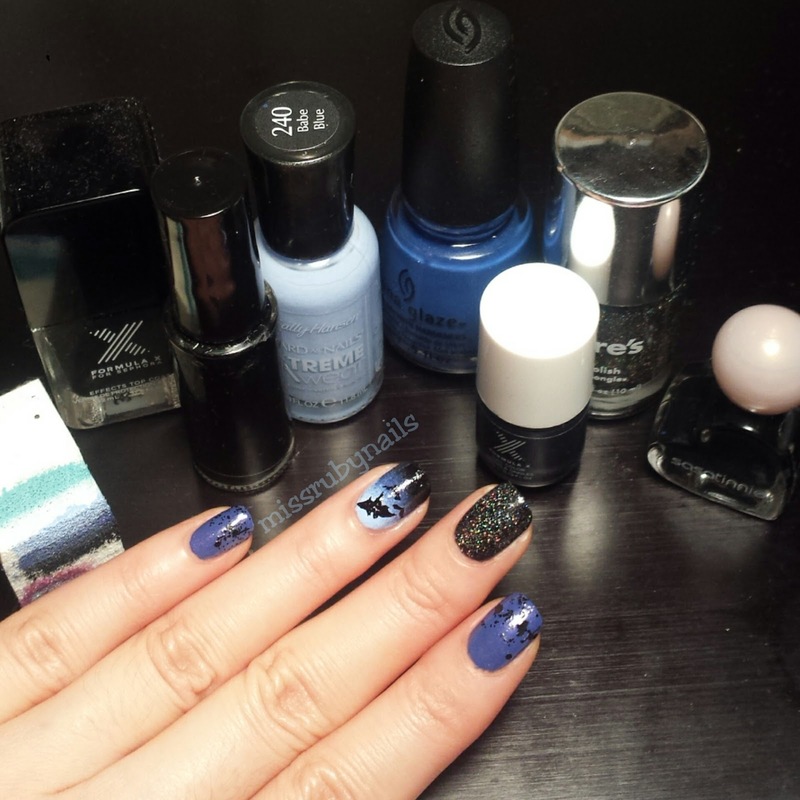 You`re very talented nail artist! Have you ever thought to open you own nail studio? I`ve recently read very encouraging story about a lady who managed to open affordable and luxury nails and spa salons all around the world. Thank you for the kind words! Right now I have no plans for that yet but please tell me more about the story you heard!